One cherished pair of sneakers, the Air Jordan Original 4 (IV) White / Black aka White Cements released in 1989, and at the time was thought of as a ugly shoe. But that didn’t stop people from purchasing the $110 Air Jordan OG 4 (IV). In the movie “Do the Right Thing” Buggin Out wore a pair of the Air Jordan Original 4 (IV) White Cements, and he can be seen scrubbing the scuff off with a tooth brush. 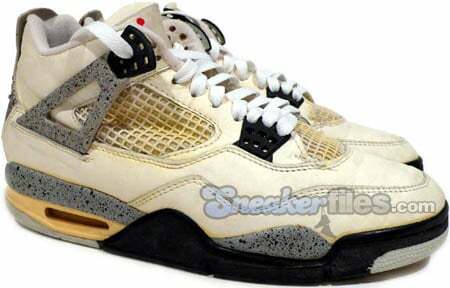 A deadstock pair of Air Jordan OG 4 (IV) White Cements can exceed $1,000.